Everytime you cut me, miasma will gush out. The miasma is poisonous enough to kill everyone here. Why do you think I care about their lives? The miasma is approaching us! 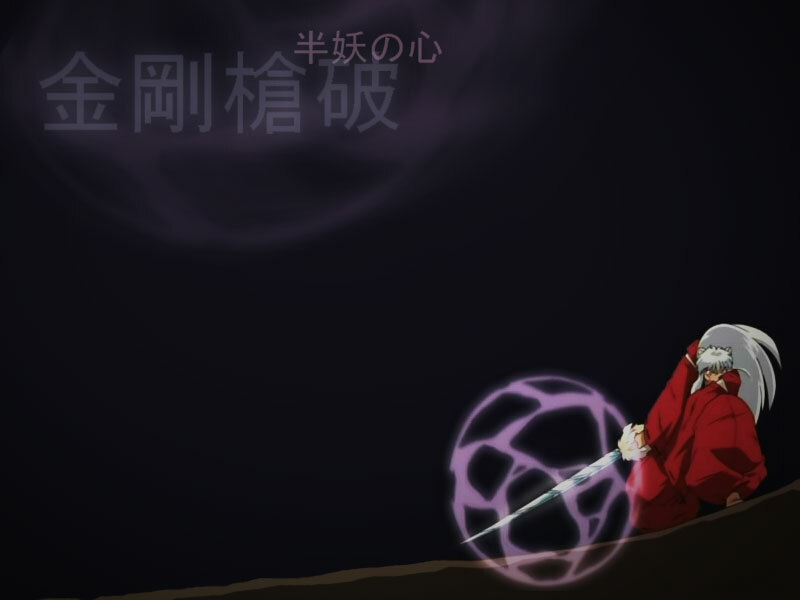 If you want to cut through Naraku's barrier, you have to cut through me! Next on Inuyasha, "Pierce Through Naraku: Diamond Spear Blast". No matter what, I'll end things today! So, you don't care if my miasma ends up killing everyone. Just what I'd expect from you, a flawless demon. Your heart is made differently. Inuyasha. With that half-demon heart of yours, you may inherit Diamond Spear Blast, my demon power! KAG: Everything started at the Tree of Life. INU: A world of dreams and lost memories. KAG: The strong bonds of friendship! INU: A new hope and a bright future now begin! INU: The jewel fragment leads our way! KAG: Through the well to a whole new world! INU & KAG: A fairy tale in the Warring States Era! Inuyasha! Hakudoshi released a stampede of zushi rats. And Kohaku appears near him! Let the rats spread and attack villages. This country is now facing the fate of being eaten up. Unexpectedly, the rats are gathering! This is mayose, a method of gathering demons and destroying them all at once. It can’t be done without strong holy powers. Next on Inuyasha, "Stampede of Countless Demon Rats". Compiled on 27 Feb 2008.